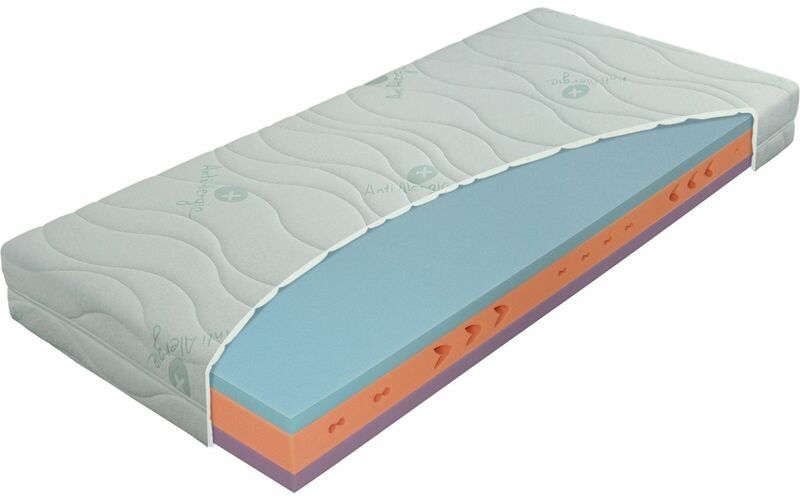 A middle-range mattress that uses quality materials and provides a good orthopaedic standard. The central layer of foam is profiled in the way that it creates seven anatomical zones. The Dryfast cover, meanwhile, offers the guarantee of good hygiene. The mattress is made in three different heights, each having two levels of firmness (the upper and underside of the mattress have different levels of firmness).